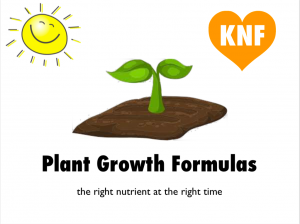 This chart is designed as a quick start guide to how-to use KNF Solution formulas. 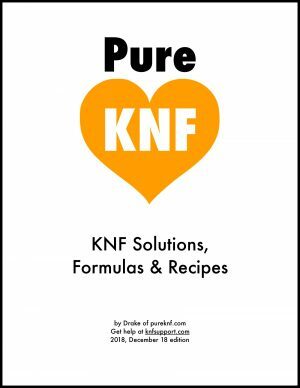 Learn how to combine, dilute and then apply KNF Solutions to your crops. 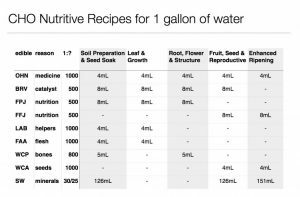 Apply the appropriate nutrients by understanding which stage of growth your plant is in, then applying the correct formula to match. 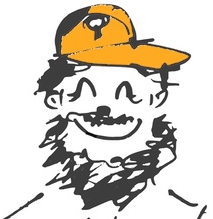 Now that you’ve made all the Korean Natural Farming solutions, how do you combine and use them? 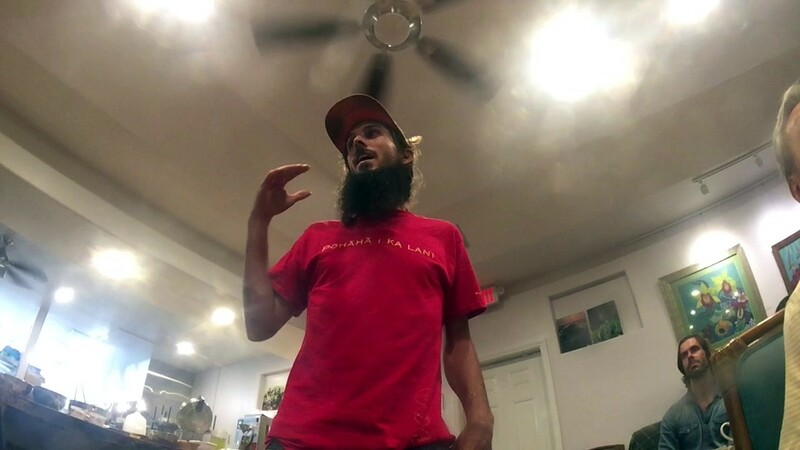 This video talks about the subtle ways to assist plant growth and maximize the ability to grow in harmony with nature! 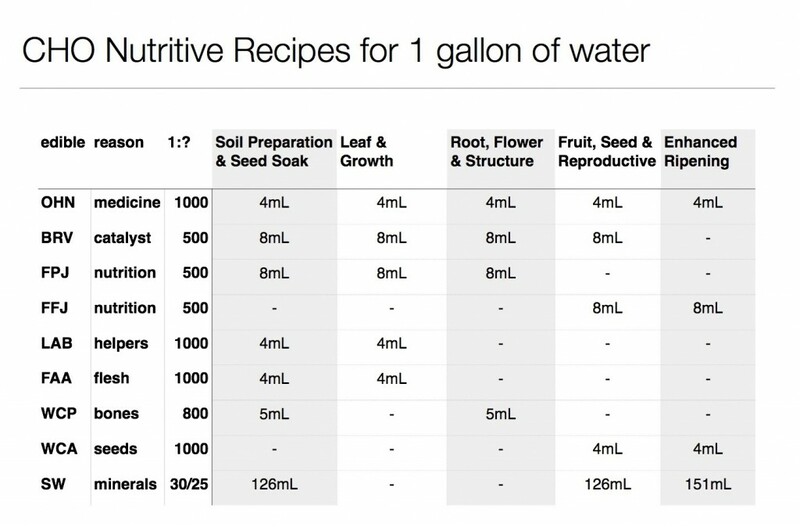 Download the Plant Nutritive Cycles Presentation used in this video. Using the chart here and scaling it up for the correct volume and you are good to go. Premixing what we call the “Maintenance Solution” of 1 part OHN, 2 parts BRV and 2 parts FPJ, then adding that as a base of 20 mL per gallon, can really simplify the amount of jars you have to open to make a simple mixture. In this video we are using a tractor to spray the microbes onto the ground to build soil foundation. 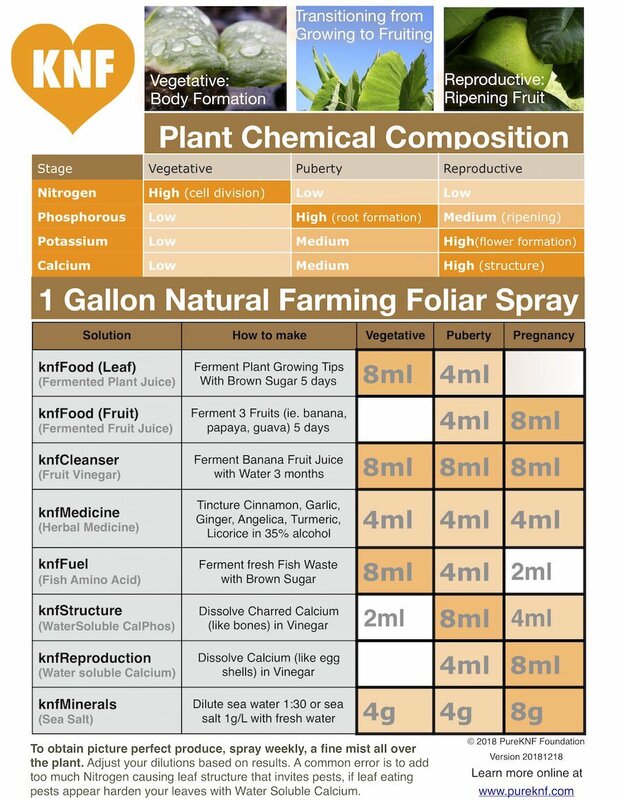 This can be combined with formulas from the Nutrient Theory to feed the plants and the soil at the same time. 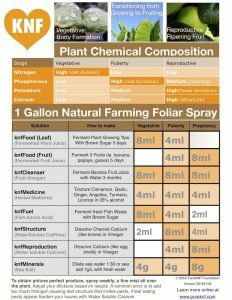 Here is a typical recipe and spray for foliar feeding of plants. Higher quality of microbes are used along with top shelf KNF Solutions. 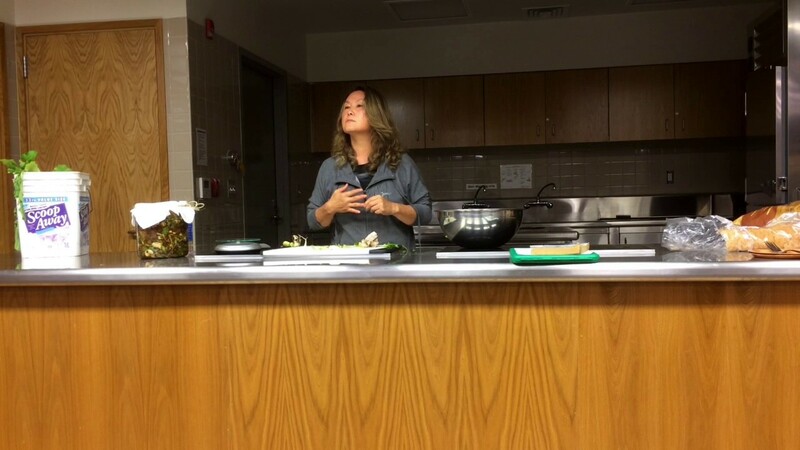 The biology we want to encourage to colonize the plants surface must be beneficial and supplying sufficient nutrients helps those populations to grow. Ideally an orchard such as this papaya field should be sprayed weekly. Hand spraying is a bit tedious, and a machine is recommended. 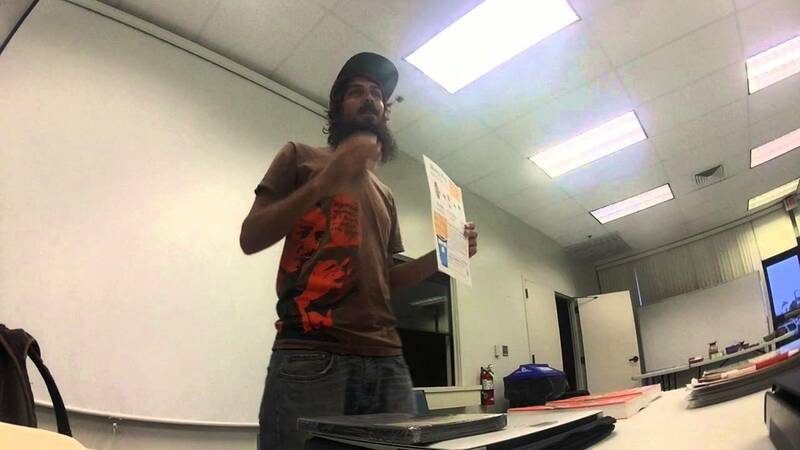 Master CHO gave an impromptu lecture covering the subject of How-to use KNF Solutions one night in Muju County Korea. We had traveled to Korea to tour farms practicing KNF methods to seek his wisdom to help us better understand how to use KNF on our farms. Master Cho was teaching us by showing us examples and giving lectures on various farming topics as we traveled with him. 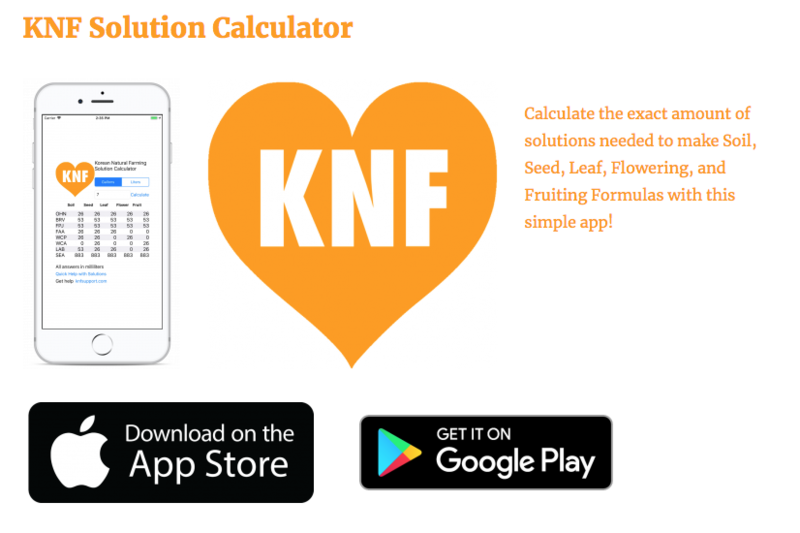 If you need more help, view common questions and answers on “How-to use KNF” on KNF Support.